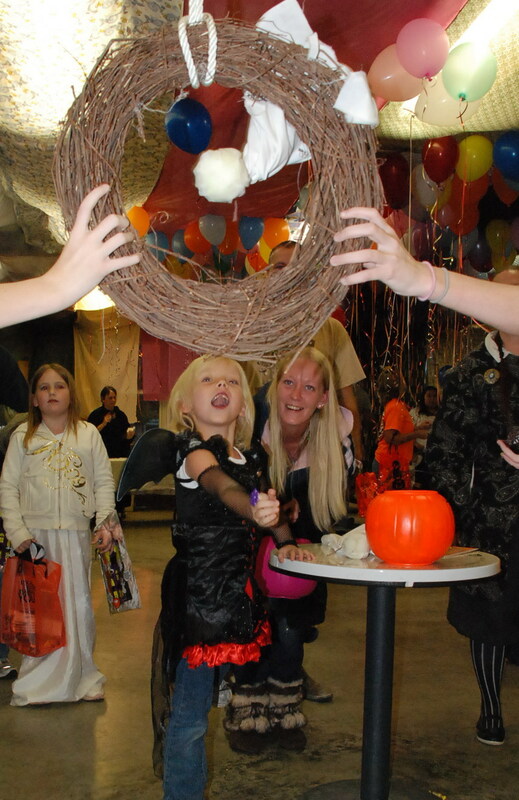 Tossing a “ghost” through a ring is just one of the kid-friendly activities offered in the fright-free area at Halloween at the Hatchery. Get into the spirit of Halloween at a Texas state park. Plan an overnight stay at a nearby park with family and friends. When night falls, build a campfire, huddle ‘round, and share scary stories while the fire pops and crackles. Campfire s’more take on a whole new look at Halloween with ghost shaped marshmallow peeps! Toast your ghost over the flames and then squish it between graham crackers and chocolate. Now who’s scary? Invite wildlife to your party; it’s easy when you use animal call apps on your smart phone. A raptor that’s usually spying on you anyway, is the screech owl. If you play its call and wait, chances are it will join you. You don’t have to set up camp to enjoy Halloween in parks. Just come for a few hours. Some parks will have activities including Edible Creepy Crawlies, to Bat Themed crafts, to Trick-or-Treating in the park, to Zombie Apocalypse Hikes and more. At Cleburne State Park, visitors 13 and older who wish to partake in trick or treating, the guided night hike, or the night sounds presentation, will have their entrance fee waived when they bring a can of food for the food bank. Find parks, dates, and complete details on Halloween hijinks in State Parks at texasstateparks.org. Make plans to visit state parks this month for a wide range of Halloween activities for the whole family. 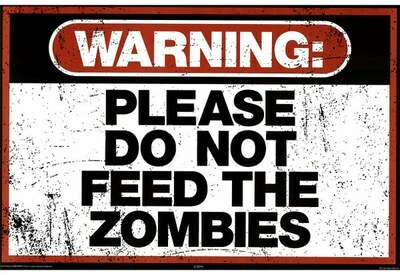 On Friday, October 21, Galveston Island SP hosts a Zombie Apocalypse Hike. Rangers weave in scary fun with real life survival skills during an hour-long hike. 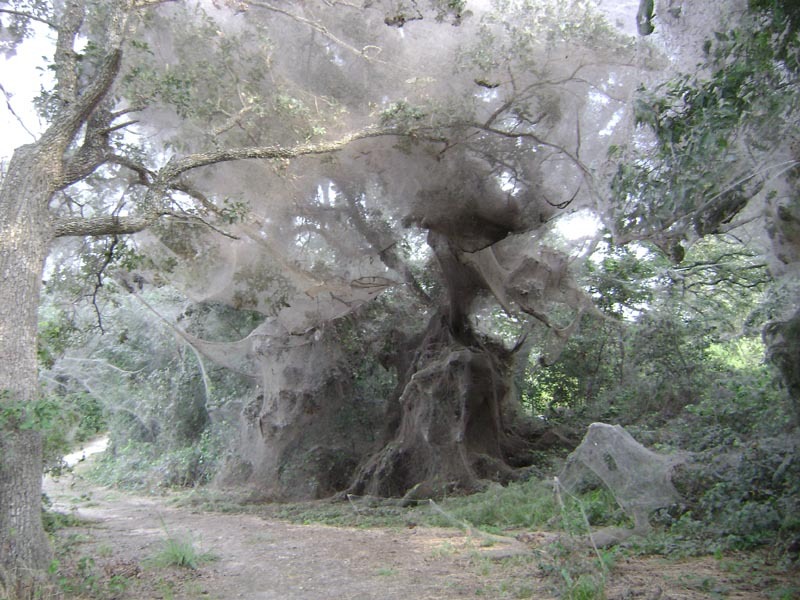 On Saturday, October 22, South Llano River SP in the Hill Country, where owls, bats, snakes and spiders take center stage for two-hours of show and tell with these kinda creepy, but very beneficial, critters. Also on Saturday, October 22, Estero Llano Grande SP in the Rio Grande Valley celebrates its 10th Annual Spooky Science Fest. This year’s theme is Jurassic Estero; complete with a dinosaur program for the kids, as well as hayrides, costume contests, food vendors, and more. And on Thursday, October 27th, it’s Halloween at the Hatchery at the Texas Freshwater Fisheries Center in Athens. Local businesses and organizations will hand out candy, and the center will be decorated throughout with a Halloween theme. Find details for these and other events in the calendar section of the Texas Parks and Wildlife website. Texas State Parks and Historic sites are pulling out the stops for Halloween. 13— There are some pretty unique events. Eisenhower State Park up on the Texas / Oklahoma border, for example, is having a Zombie Apocalypse Hike. So, it’s an opportunity to not only get outdoors, but to learn some survival skills. Survival skills like, maybe, how to outrun zombies so they don’t eat your brains? Thomas Wilhelm, with state parks, says to expect more traditional activities as well. 23—Lake Tawakoni has Boo in the park, which is just trick-or-treat through the campground area. Fort Richardson is having a contest; their friends group is offering a hundred dollar prize for the best decorated campsite. Estero Llano Grande in the valley is having their ninth annual spooky science fest. The theme this year is Jurassic Estero; so, dinosaurs, costumes and all sorts of fun opportunities. Most Texans live 90 minutes or less from a state park or historic site, making Halloween fun convenient, safe and affordable. 13—Most of these events are included with your park entrance. A few that are having special events are having either specials pricing—some there are no fees. Some are doing special per car pricing. Contact a park beforehand if you have questions about pricing. Find a full schedule of Halloween and fall events in State Parks by region at texasstateparks.org/holidays. Life is unpredictable, unless, of course, it’s October. That’s because in October you can always predict a spell of Halloween hijinks at Texas State Parks and Historic Sites. 08—You’ll find Halloween events in every corner of the state from far El Paso down to the Gulf, up to far North Texas. Thomas Wilhelm is with state parks. He says there will, of course be trick-or-treating in the parks. 15—But there are also some other events—educational type events like: Not so Creepy Critters, where you can learn about spiders and owls and bugs. And then some downright spooky events, like the Wake of Henry Fanthorp at Fanthorp Inn. That event is 10 years old and up. Historic sites will offer some of the more intriguing Halloween programs, suitable for mature audiences. 10—Battleship Texas is doing an event called The Seedier Side of Battleship Texas, where they talk about some of the shenanigans on board. And that’s a twenty-one and up only event. Well, we are talking about shenanigans, after all. State Parks and Historic sites; who knew, right? Find a full schedule of Halloween and fall events in State Parks by region at texasstateparks.org/holidays.